I’m just back from talking about him at the Edinburgh Book Festival – here he is on display in the Festival bookshop. 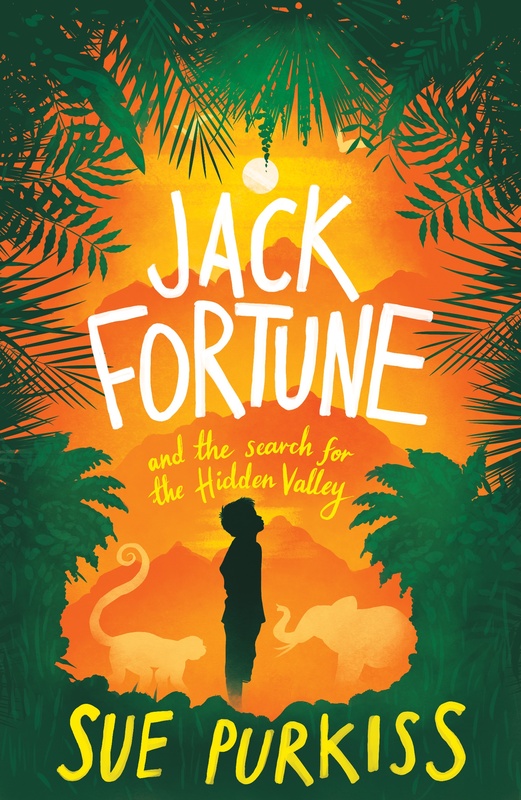 Jack Fortune was shortlisted for the Young Quills Award for historical fiction. As part of the process for this, lots of schoolchildren read and reviewed the nominated books – read more here. Here he is in my local Waterstones, alongside some very impressive companions. And he was chosen as one of the books for the 2018 Summer Reading Challenge, run by the Reading Agency – there he is, on the fourth row down! This was particularly good news, because I’m a big fan of the Reading Challenge. This was me last year, encouraging children at our local primary school to take part. The idea is to encourage children to read books over the long summer holiday. There are bookmarks, medals, puzzles, certificates – all kinds of goodies! You just have to go to your local library to sign up. Each year, there’s a theme. In 2018, it was Mischief Makers. And Jack Fortune is certainly very good at making mischief! Here I am at Yeovil Library, talking about Jack. It’s the end of the 18th century. King George 111 is on the throne, and Jack Fortune, a lively orphan boy who wants to be an explorer, is living with his crotchety Aunt Constance. He’s always getting into trouble; but one day his naughtiness goes just that bit too far, and Aunt Constance decides she’s had enough. She calls in her brother, Jack’s Uncle Edmund, and tells him it’s his turn. But Uncle Edmund declares that he can’t possibly take on Jack – he’s just about to head off on a dangerous expedition to the Himalayas in search of rare plants. To Jack’s great delight, Aunt Constance won’t take no for an answer – and Uncle Edmund is left with no choice! What follows is a terrific adventure that will see Jack and Uncle Edmund testing themselves to the limits, as they sail to India, travel north to Hakkim, forge their way through jungles, cross turbulent rivers and scale terrifying heights – and also have to cope with sabotage, avalanches and a mysterious creature that lives among the snow and ice of Mount Zemu! And then there’s this, from Pen and Paper: ‘What is really nice about the story is how his character develops as he identifies skills he didn’t know he had, growing as he comes to know of the customs of people very different to himself, learning about their beliefs and customs…’ More here.